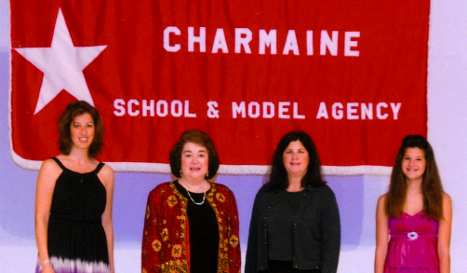 Charmaine School & Model Agency was founded and established in Fort Wayne, Indiana by Nina D. Grill in 1969. Nina has taught "Personal Development" at Purdue University and Huntington College. She has written several articles on personal development for various magazines and publications and has lectured at teacher-training seminars in New York City. Nina has been featured in several Who's Who of Business and Professional Women and in the National Registry of Who's Who 2001, which was placed in the Library of Congress in Washington D.C. The Greater Fort Wayne Chamber of Commerce named Nina the Small Business Person of the Month in 1986. In May 2000, she received the first annual award for outstanding service from the Chamber of Commerce, which they named "The Nina Award." Charmaine School & Model Agency attends the National Modeling & Talent Convention annually. Theresa Grill-Godfrey is a graduate of Indiana University. She is the Director of the Model & Talent Agency. With a focus on family values, she assists and guides Charmaine models and actors with their career choices. She develops various pageant winners. Theresa coordinates workshops and seminars and places men, women and children for modeling bookings. Sherri Grill-Horine is a graduate of Purdue University. She is the School Director. She teaches and advises students from the ages of 4 years old and up in personal development and modeling programs. Sherri coordinates and plans various promotions and fashion shows and focuses on maintaining a top instructional curriculum for Charmaine School. Vanessa Godfrey will graduate from Bishop Dwenger High School in 2014 and is a member of the National Honors Society. She is an instructor of the children's division at Charmaine. She began modeling & acting at the age of 4 and has been in many fashion shows, videos & print assignments..